So you have been searching for a professional photographer in Orange Beach and you are overwhelmed at how many different options there are? Not sure who to choose? Well, let us introduce ourselves. We are Maggie and Ryan and we are Sun Shots! We have been serving the Gulf Coast since 2001, and we would love to share our art with your family. We are not your average photographer by any means. We go over the top and we specialize in making memories that you will cherish forever. We are different than the crowd because we bring the right equipment and work as a team to make sure every single little detail is in the right place. We use studio strobes to highlight our subjects and allow the natural beauty of the beach to shine through. Going the extra mile and working our butts off is what we are all about. We have spent the past twenty years perfecting our craft and we are masters at family beach photography. Our passion runs deep and we are eager to help you achieve art that you will be proud to display for decades to come in your home. A special thanks to our group from last night's sunset in Orange Beach for taking the time to do your research and pick us based on our high-quality art. We really enjoyed working with your family and look forward to seeing you guys again on your next trip. 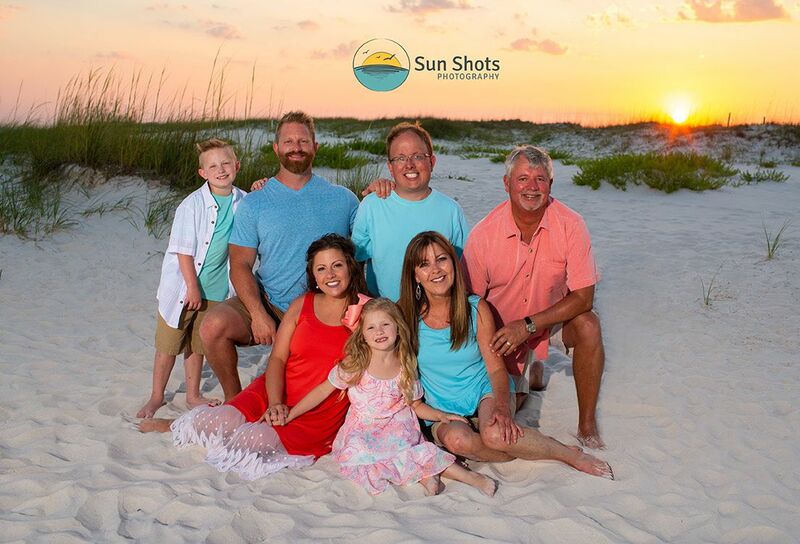 It was our pleasure meeting you and working together to achieve awesome sunset family beach pictures. We are located in Orange Beach, Gulf Shores, and Perdido Key. We have many different locations to choose from and look forward to working with your family as well. So looking forward to the day when we meet your family on the beach and sharing our art with you!